So I have a confession, I am addicted to buying Shower gels and body lotions, why? Well to be honest I haven't a clue but when I see shower gels and body lotions on offer well it's the best day of my life. Seriously though I have a shelf full (in my wardrobe!) of shower gels and body lotions and pretty much have enough to last me a life time, but of course that doesn't stop me buying them. Having all these products though means it takes me an hour to get into the shower because I want to decide what to use that day. However recently I've been using the same products which is definitely unusual because I usually change products every time. So as I've been loving these products so much I decided to share them all with you, because they truly are amazing! 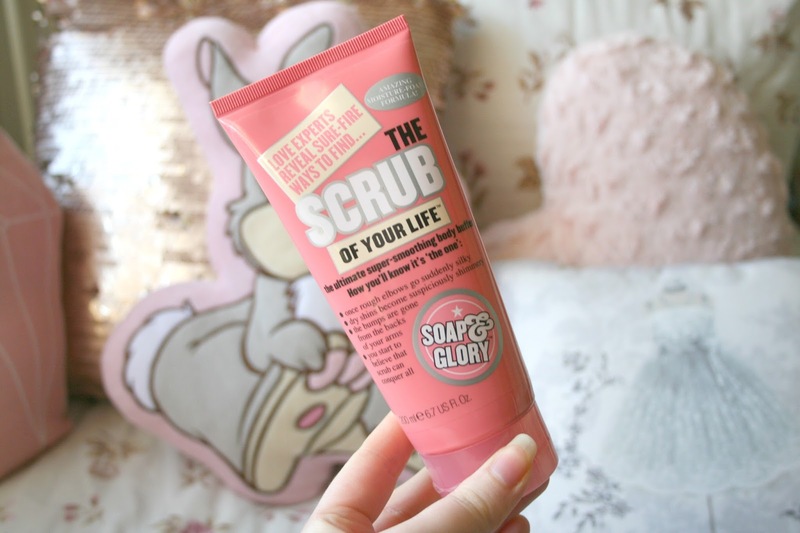 Soap and Glory Scrub Of Your Life: I've definitely featured this before in a previous post (I think, or it could be one in my drafts, who knows) but my goodness it is the best thing ever. When it comes to exfoliating my body I normally skip that step because I really dislike exfoliators in tubs because they are just so messy. So obviously the first win win of this product is it's in a bottle so it's easy to use in the shower and it's not messy at all. It's also like no other I've tried before, besides leaving my skin feeling like a baby it actually foams up while you rub it into your skin which fascinates me. It's also really gentle on the skin, even though there is gritty bits in it no matter how much you scrub them into your skin they never actually hurt you. Of course this is a Soap and Glory product which means it smells absolutely amazing! I got a bottle of this in November and I've been using it ever since, it's almost gone but I currently have a back up tube waiting to be opened. I can see this being a staple skincare item for me for a long time! If like me you normally skip exfoliating because it's too messy and too much hassle definitely pick this up, it takes no effort at all and it leaves your skin feeling amazing! Lush The Comforter Shower Cream: This absolute gem of a thing, oh my goodness! Usually my favourite scent is Snow Fairy from Lush but I decided to treat myself to a small bottle of this at the start of January and sweet baby jesus I worship at the feet of whoever created this scent. I have not looked at another shower gel since getting this, I just cannot stop using it. My only regret about getting this was not getting the big bottle, I guess I didn't realise how much I'd love it. Seriously though if you haven't smelt this yet please hop, skip or jump to your local Lush store to give it a sniff. I adore Lush shower creams they leave your skin feeling moisturised and pampered, and the scent lingers for a while which I really like. This has shot straight to the top of my list of my favourite Lush items. Lush Jason & The Argon Oil Shampoo Bar: Is it really a surprise that another Lush product is being mentioned!? I adore Lush shampoo bars, I feel like they allow me to wash my hair so much quicker than if I were to use regular shampoo. They lather up so quickly and so much I just adore them. 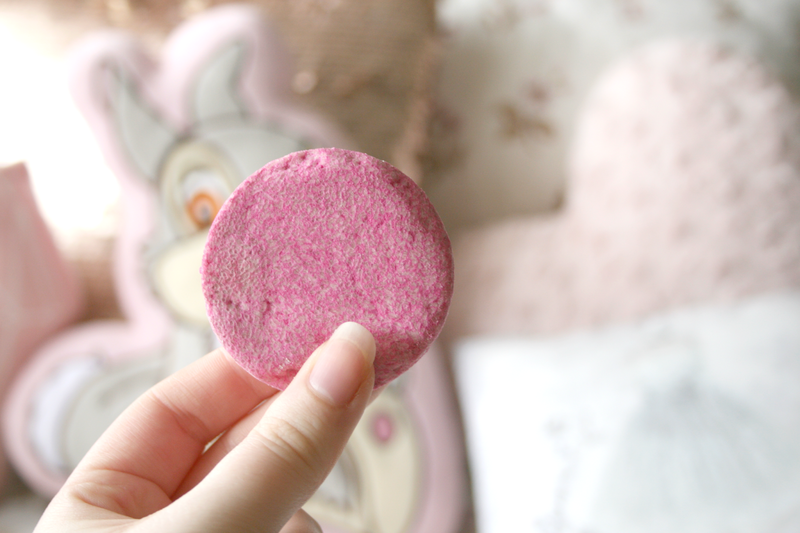 I had tried the Godiva shampoo bar which I have picked up numerous times as well as the Lullaby one. So I decided to pick up a new one and after smelling this it was a clear winner. I just cannot get enough of this scent and the best part is it leaves your hair smelling so good that you just want everyone to sniff it! I adore the Shampoo bars because I find they even last longer than shampoos in bottles. This also leaves my hair feeling quite conditioned and soft. I may have found a new favourite Shampoo bar with this one, sorry Godiva! 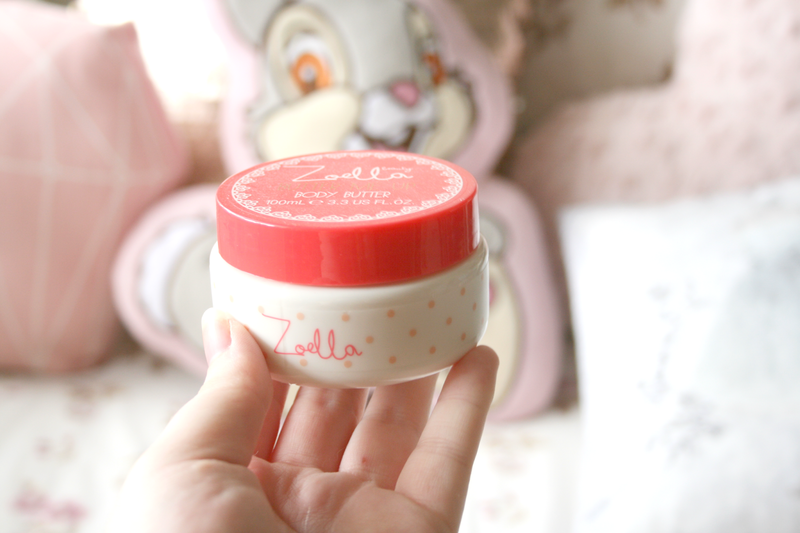 Zoella Butter Me Up Body Butter: I've also stopped being lazy and have started actually using moisturisers on my body! Recently I have been loving the Zoella one. This one was actually an exclusive to her awesome drawersome set (post here) and I must say I really like it. It's a much thicker consistency than the ones in the tubes so it takes a little longer to soak into the skin but it really moisturises your skin. It leaves it feeling really lovely and it has the scent from her original range which is my absolute favourite. What are your current favourite shower picks? I really want to give the S&G scrub a try as well as Lush's comforter. I've heard so many good reviews about both products. I'm currently using the Body Shop scrub and butter which are both pretty good but I'm always looking for new products to try! I have tried S&G shower body scrub? I just love it and can't get enough! I love the Soap & Glory Scrub of Your Life I use it most the time that the the sugar crush smelling scrub because I adore the Sugar Crush scent from Soap & Glory it's the best smell ever.